In the mortgage business, customer leads are an essential part of success. 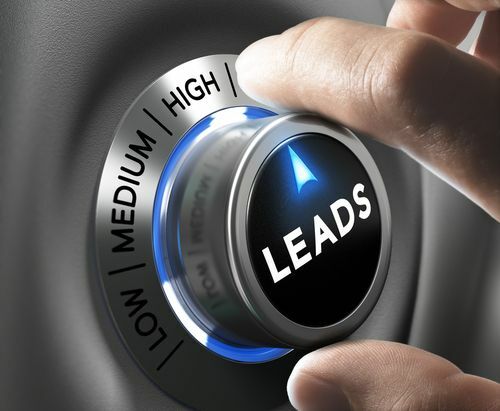 The issue is not simply having enough leads; a large number of leads can be a drain on your resources. If your loan officers must waste time sifting through hundreds of leads for every actual sale, your profit margin will shrink. If you could improve the quality of your mortgage leads, you could spend less time chasing leads and improve your bottom line. Quality mortgage customers are eligible for financing and ready to make a down payment. Basic questions about income and credit history can weed out under-qualified customers that will cost you more time and energy. The best clients have specific property needs that they understand and are able to express clearly. When your customers are ready to act when the opportunity appears, you can act quickly and decisively on their behalf. This creates a win-win situation for your customers and you. Leads with these characteristics help you maximize your profitability. Finding better leads does not have to be difficult or complicated. Look to your client database for the best leads you can get. Here are a few useful techniques you can implement quickly and easily. Check in with your existing customers. You already know which of your existing customers would make good repeat customers. Schedule periodic follow-up calls with these customers; frame the calls as checking to ensure that their needs are met. Consider implementing customer follow-up mailings and emails to keep in touch and generate leads. When a current customer refers a new customer, it saves you time and money. Consider rewarding your existing customers when they produce actionable referrals. Work directly with Realtors in your area. The Realtors in your area have customers looking for lenders right now; foster relationships with these individuals. For years, owning a home has been an essential element of the so-called “American Dream.” As times and economics have changed, this dream has become less attainable. You can be a part of making this dream a reality again.